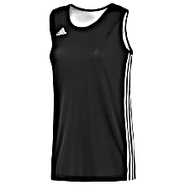 Adidas - Throw on the adidas Practice Jersey and hit the court. 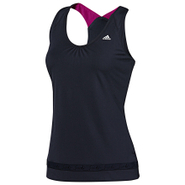 The scoop neck and mesh outer lining keep you cool and comfortable as you work it out. 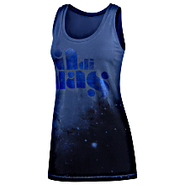 Designed with a laid-back style great for just kickin' it too. Daftbird - Scoop Neck Crop Tank with Sheer Sides in Vanilla or Yankee100% Pima Cotton. 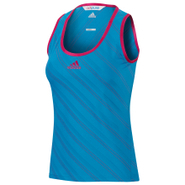 Adidas - Sleek and simple the adidas by Stella McCartney Tennis Lycra Tank top features a deep scoop neck a racer back and a stretchy fabric blend to keep you dry by pulling moisture away from skin. Daftbird - Racerback Tank Dress in 2 Colors Racer-back scoop neck jersey maxi dress. Measures approximately 56&quot; from shoulder to hem. SINGER22 model is 5'7&quot; tall and wearing a size XS. 50% Polyester 37.5% Cotton 12.5% Rayon. Emerson Thorpe - Bias Striped Long Dress in 2 colors Nautical-inspired striped maxi dress featuring spaghetti straps and a scoop front and back neckline. 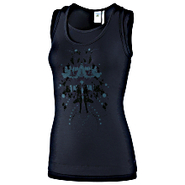 SINGER22 model is 5'10 1/2&quot; tall and wearing a size S. 50% Polyester 50% Rayon. lovers + friends - Blue Heart Pleated Mini Dress in Black Scoop-neck accordion pleated mini dress featuring sheer three-quarter bell sleeves. Fully lined. Comes with self-tie sash for cinching at waist. Measures approximately 32&quot; from shoulder to hem. 100% Polyester. Boulee - Renee Dress in many colors Long sleeved scoop-neck mini dress with deep v and cutouts at back. 82% Nylon 18% Spandex. Boulee - Renee Dress in 2 Colors Long sleeved scoop-neck mini dress with deep v and cutouts at back. 82% Nylon 18% Spandex. Parker - Cold Shoulder Dress in Blue Animal Scoop-neck mini dress featuring tiered bell sleeves and cutouts at shoulders. Measures approximately 33&quot; from shoulder to hem. SINGER22 model is 5'7&quot; tall and wearing a size XS. 100% Silk. Donna Mizani - Cut Out Dress in Smoke/Black Scoop-neck two-tone stretch mini dress featuring long sleeves and cutouts at bodice and elbows. Measures approximately 32&quot; from shoulder to hem. 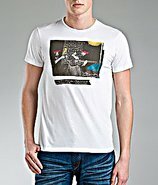 SINGER22 model is 5'8&quot; tall and wearing a size XS. ?93% Rayon 7% Spandex. TWELFTH STREET - Slouchy Dolman Pullover in Black Scoop-neck pullover with long dolman sleeves. A great layering piece that can be worn on or off the shoulder. 77% Acrylic 23% Nylon. Emerson Thorpe - Solid Tassels Dress in Many Colors Silk scoop neck mini dress with smocked elastic at waist featuring slashed dolman sleeves with decorative tassels. Measures approximately 37&quot; from shoulder to hem. 100% Silk.